We Need More Litigation Against Brokers and Title Companies. Brokers are responsible for the actions of their agents. 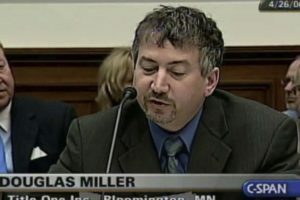 There are several Minnesota Department of Commerce enforcement actions that have not been litigated civilly. Commerce Department enforcement actions are public record and Data Practices requests can yield much valuable information. Brokers have been relying upon a federal law called RESPA for their fiduciary disclosures about conflicts of interests. However, RESPA is a minimum standard and does not come close to complying with the fiduciary standards set forth in the common-law. 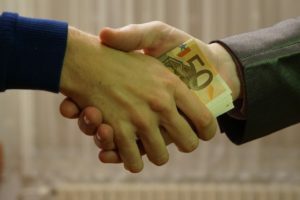 Breach of loyalty cases against fiduciaries involving self-dealing can provide enormous advantages to litigators such as burden of proof switching, automatic damages, attorney fees and a shot at punitive damages. Large brokers use their state statutory supervisory power privileges to improperly train their agents and encourage self-dealing to their in-house title firms. Are Realtors who take Kickbacks Criminals? Most realtors don’t understand what constitutes a kickback and routinely accept them from title companies. 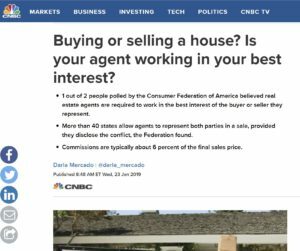 The result is that realtors make tainted recommendations to their clients and that clients pay more for title services and end up using the firms that intentionally interfered with their fiduciary relationships. This harms consumers and the marketplace. It may also be criminal depending on how you read Minn. Stat. 609.86 Commercial Bribery (click here). When realtors take kickbacks they become predators conspiring against their own clients. That means they are using their special relationship of trust and reliance to ambush their own clients. They are “predatory fiduciaries” which is far worse than predatory lenders who spurred the mortgage foreclosure crisis. It results in price fixing, the elimination of competition, and it exposes clients to dangerous conflicts of interests. Damages can be Automatic. Forfeiture of Real Estate Commissions? Predatory fiduciaries may have to forfeit their fees and deal with an angry court that could switch the burden of proof upon them and make them responsible for attorneys fees. Self-dealing is one of the worst breaches of fiduciary duty possible (violates the duty of loyalty) and can expose realtors and their brokers to massive liability. Yet that is exactly what is taking place in Minnesota and throughout the country when realtors and brokers steer clients into title companies for profit. Few realtors and consumers understand what it means to be a fiduciary. Being a fiduciary is the highest level of service possible under the law. A fiduciary is someone charged with an enormous burden of loyalty and must represent the best interests of their clients above all others – especially their own. A client of a fiduciary is expected to be able to trust their fiduciary to make decisions on their behalf as if they were in their shoes. A fiduciary must avoid conflicts of interests and never engage in self-dealing and avoid even the appearance of impropriety. When a fiduciary takes a kickback it is called a bribe. All you need to determine that realtors routinely violate their fiduciary duties is ask them questions and wait for the wrong answers. Most have talking points handed down to them by their brokers or their Realtor Association that don’t come close to passing the fiduciary litmus test. They are not only willing to violate the law but almost seem eager to do so. And title companies seem to have few qualms about encouraging them. Please read my article and feel free to contact me with questions or comments. I am available to collaborate on class actions, joinder cases, and even individual matters. I also consult and am available as an expert. As I start this new firm I am also interested in overflow real estate work on the consumer side.